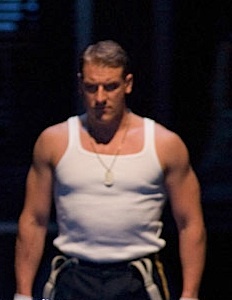 Two barihunks are making their Met role debuts on March 15th. American Thomas Hampson will take on the title role in Verdi's Macbeth and Austrian Günther Groissböck will debut as the vengeful Banquo in the same opera. Also appearing in the revival will be the thrilling soprano Nadja Michael as the bloodthirsty Lady Macbeth. Macbeth will be Hampson’s fifth Verdi role at the Met, where he has also sung Giorgio Germont in La Traviata, Rodrigo in Don Carlo, the title role in Simon Boccanegra, and Don Carlo in Ernani. Next season, he will make his Met role debut as Iago in Verdi’s Otello. The March 15th opening performance of Macbeth will be broadcast live on Metropolitan Opera Radio on SIRIUS XM Channel 74, as will the performances on March 20, 24, and 29. The March 15 performance will also be streamed live on the Met’s website. The March 24 matinee will be broadcast live over the Toll Brothers-Metropolitan Opera International Radio Network.